In my earlier post 5 Key Questions for Better SharePoint Adoption Metrics, we looked at what I consider are 5 questions to ask to determine if your SharePoint implementation is being used successfully. 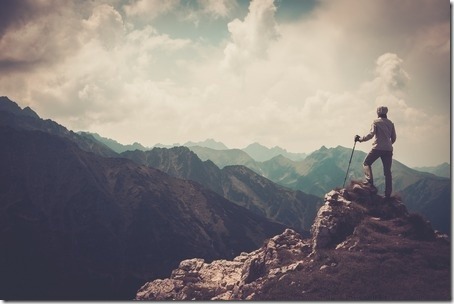 We discussed that when you start on your SharePoint journey, you should start with a roadmap for your implementation that defines the goals and business objectives for SharePoint. This starts you in the right direction, but how do you know when you’re done? And more importantly how do you know if you’re successful? This is just as important for an existing SharePoint implementation as it is for a new one! Today I will walk introduce you to different tools and methods you can use to gather this information so you can make an informed decision. 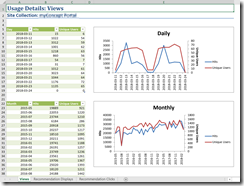 What Are the Tools to Measure SharePoint Adoption? Analytics are the quantitative way we answer the question of user adoption. 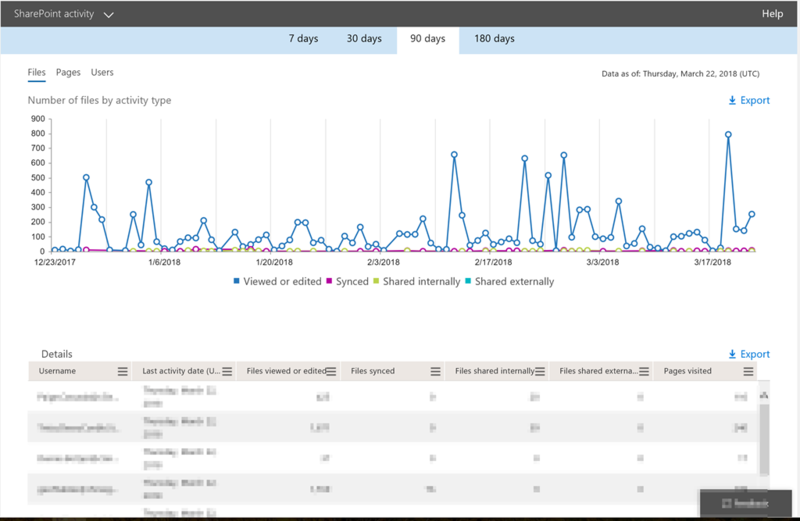 The analytics that you track should also be referring back to the business goals and objectives that you set out for SharePoint. To that end, we need facts! 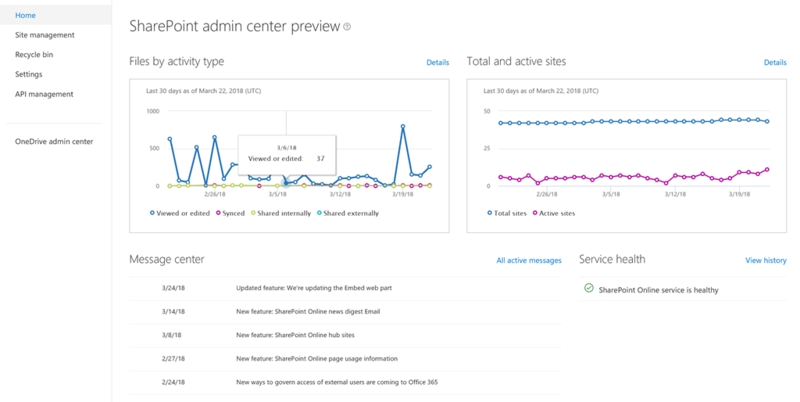 Here are 5 ways to get a view into user adoption (especially if you have Office 365). The Search reports will give you details about how people are using the Search service, what they’re searching for, if they are clicking anything, if they get 0 results, etc. 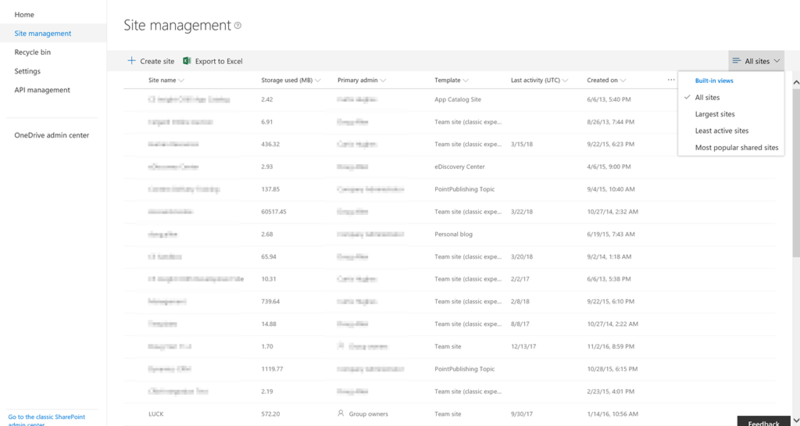 If you use Office 365, Microsoft provides some quite useful reports for not only SharePoint, but many of the other services. You can of course still do the same site collection-level reports as I note above in on-premise. Power BI is Microsoft’s very popular and rapidly growing Business Intelligence platform. 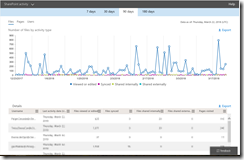 They have paired this interactive platform with the above usage data in Office 365 providing an easy and powerful way to analyze, share and consume your Office 365 usage data. 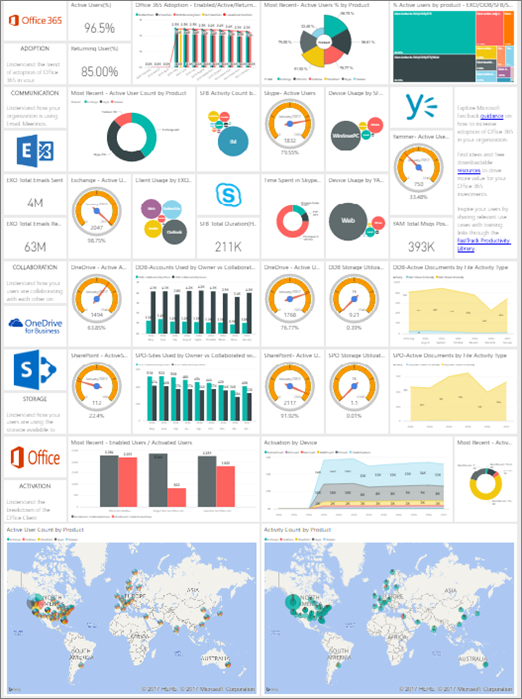 This is referred to as the Office 365 Adoption Content pack for Power BI. You can follow these steps from Microsoft to enable it, and read the announcement to get a good overview. 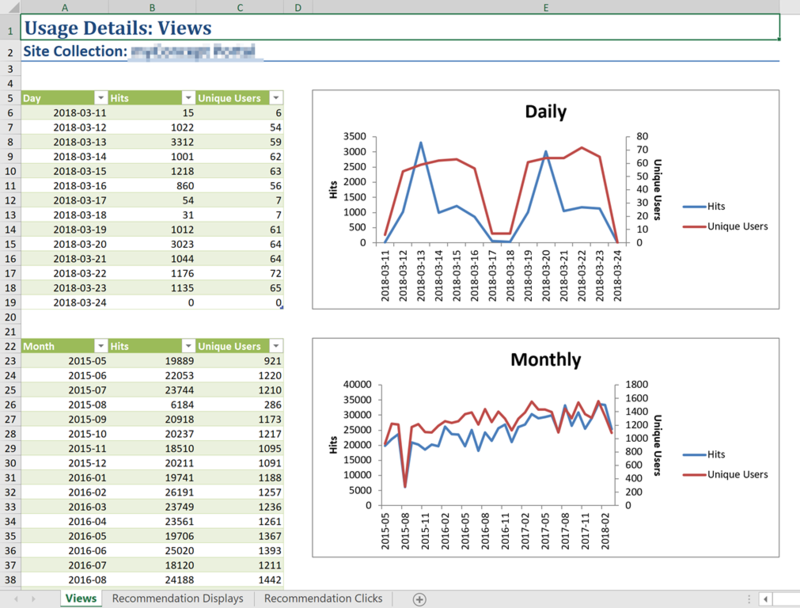 You can read about Customizing the Adoption pack dashboards and reports, and download the pbix as well for heavy customization. 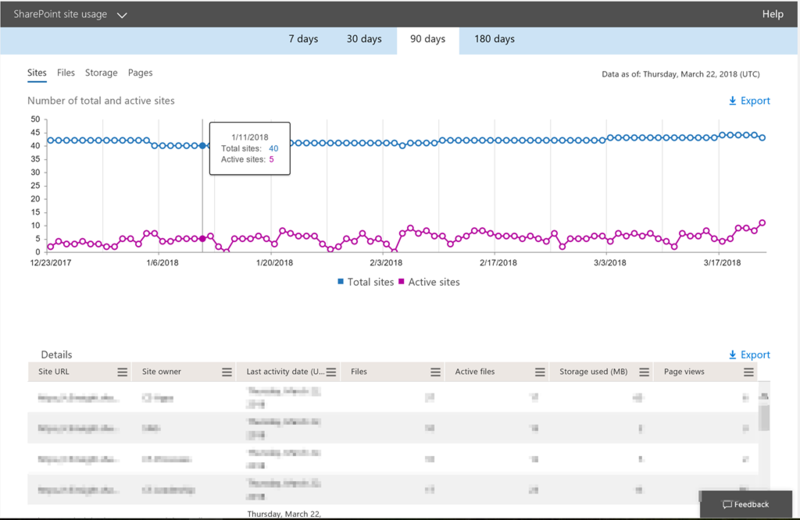 Google Analytics has been around for ages, and is likely familiar to you if you’re reading this. You can use it for SharePoint on-premise or SharePoint Online with a big caveat – what you can gather. You can only really gather usage and user data for the root landing page and no other deeper sites. For this root site, you can gather some useful information about the person’s location, browser, device, etc. Find out more about Google Analytics. Features, supportability and price vary widely by tool so please do your research (or Contact C5 Insight) to ensure whatever tool you choose fits your needs. There is certain information that you just can’t get from any automated tool or report. How much do the users LIKE the SharePoint? What colors do they prefer? Do they want a banner or rotating images of the last Christmas Party? There’s no way to know if you don’t ask! Use the C5 Insight Rate Your Intranet Benchmarking Survey! 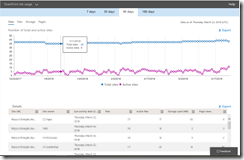 I hope this has helped you get your arms around not only analytics for SharePoint, but becoming more aware of what’s going on in your SharePoint environments. Please contact us if you need more information or have any questions about a roadmap for SharePoint, user adoption, or our benchmarking survey! « Sharing is Caring: Share Knowledge and Transform Your Business!